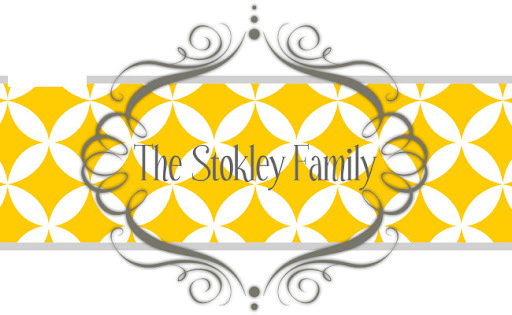 The Stokley Family: You can't make this stuff up! I know, I know I'm ashamed to admit that we went to the lawnmower races! Seriously, who thinks of things like this! The part that I am most worried about is the fact that Ryleigh, Tanner and Ryan enjoyed it! I will admit I did enjoy watching the people...you see some interesting people at places like that! This was Ry's favorite lawnmower, probably because it was purple. This one was Tanner's favorite. Ryleigh didn't want to wear a bow and I didn't make her. I figured we were at the lawnmower races, who would notice if she had a bow in or not. She was already extremely overdressed! They did have one thing that was fun for the kids. During "intermission" (I guess that would be the time when they take a break to gas up and drink up!) they had races for the kids. We were totally unprepared for such an event and had not brought Ryleigh and Tanner's power wheel. All the kids bring them and race around the dirt track. Lucky for the other kids we didn't know to bring ours or they would of been eating Ryleigh and Tanner's dust! But they weren't completely left out. They did have a foot race! Ryleigh and Tanner both participated. These pictures are from my phone which is why they are terrible. Ryan had to run with Tanner because his pants kept falling off. He should of just let them, I mean we were at the lawnmower races, he would have fit right in! Ryleigh on the other hand left everyone else in the dust. She actually is pretty fast and won for her age group. I actually thought she would get half way and quit because she would of been hot and tired, but she surprised me! Look how fast she was going! All and all even though I hate to admit it it was a pretty fun night. I do not plan on making a habit of going though. I thought this last picture of them is cute. Don't you think they kinda look like twins from the back?? And lastly, Wednesday is a big day for us...Ryleigh Claire starts school! I'm a nervous wreck! We went Sunday and met her teacher and she got to walk around and see the school. She is very excited about it. I'm sure she'll do GREAT it's just hard to believe she is growing up so fast! And for those of you wondering, yes she is going to take the ugly lunchbox. I know, I know...what can I say!